Mel Gross, CHFC®, of Gross & Foster Financial Services and registered representative of Lincoln Financial Securities Corp. (LFS), was recently named 2015 Advisor of the Year by Lincoln Financial Network (LFN). This annual recognition is awarded to the leading financial planners among thousands affiliated with LFN. Gross was the top advisor based on sales within the Agency Building General Agent (ABGA). This is his first time receiving the award. “This award, one of the highest recognitions we give to advisors, demonstrates the high level of professionalism and service Mel provides his clients each day,” said Tom Eusebio, SVP, head of ABGA. 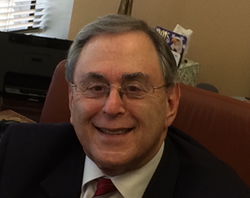 A 49-year industry veteran, Gross specializes in financial planning, insurance and investments. He is past president of the Houston Business and Estate Planning Council and a Life Member of the Million Dollar Roundtable (MDRT) where he has consistently qualified for Top of the Table recognition, most recently in 2015. In addition, Gross taught Certified Public Accounting (CPA) continuing education for many years. Gross earned a bachelor of arts degree in psychology from the University of California, Los Angeles, a master of science degree in financial services from the American College of Financial Services in Bryn Mawr, Pa. Gross holds the professional designations of Chartered Life Underwriter (CLU®), Chartered Financial Consultant (ChFC®), Master of Science in Financial Services (MSFS), and Accredited Estate Planner (AEP®). Gross’s office is located at 4848 Loop Central Drive, Suite 1005, Houston, Texas. Lincoln Financial Network is the marketing name for the retail sales and financial planning affiliates of Lincoln Financial Group and includes Lincoln Financial Advisors Corp. and Lincoln Financial Securities Corporation, both members of FINRA and SIPC. Consisting of approximately 8,500 representatives, agents, and full-service financial planners throughout the United States, Lincoln Financial Network professionals can offer financial planning and advisory services, retirement services, life products, annuities, investments, and trust services to affluent individuals, business owners, and families. Gross & Foster Financial Services is not an affiliate of Lincoln Financial Securities or Lincoln Financial Network.